We tend to take our whiskey pretty seriously here at Cocktails, 365. After all, before the site ever began we simply started out with a couple of bottles of just about every whiskey you could imagine, and a couple of gins for Jenn. It wasn’t until this little project started and grew legs that other base spirits began to infiltrate the bar. That’s why we’ve pined endlessly for the godlike Pappy Van Winkle that seems to lead people to back-alley sexual favors just to get a sip of . 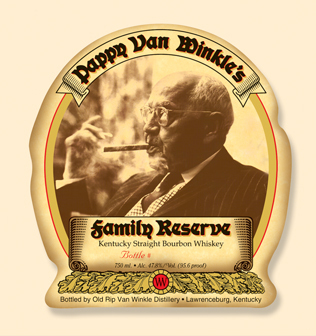 Pappy Van Winkle – It’s like legal crack! So, imagine our surprise when we came across a different a bourbon. A bourbon that decided that Pappy Van Winkle was past his prime. A bourbon that thought maybe, just maybe, it was time to tell the king to screw off. A bourbon that, apparently, thought right, considering they beat out our Ol’ Grand Pappy 96 to 94 and placed as one of the top three Bourbons in the world. We like that scrappy upstart attitude. 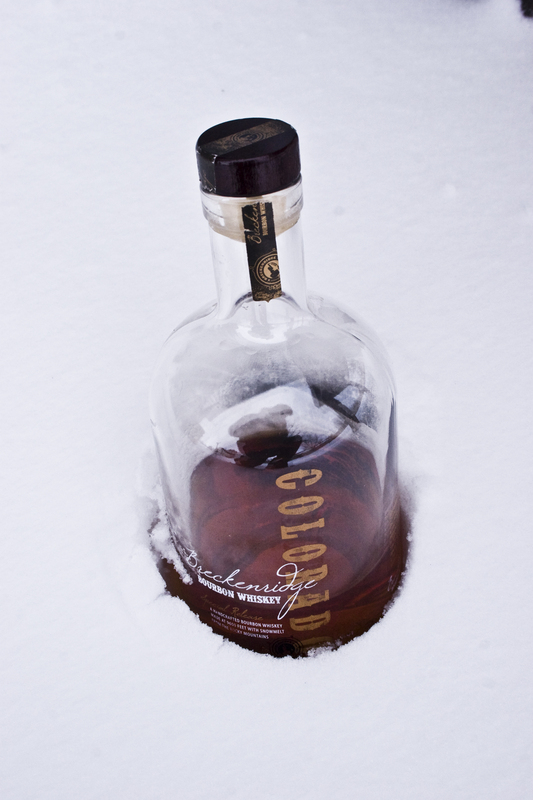 Breckenridge Distillery’s Bourbon may be our new favorite bourbon. Ever. It has a very pleasant spicy note with the usual sweet vanillas you’d expect from a bourbon. It’s more of afterthought, really. The spiciness is what dominates this drink . Whoo-hoo-hooo! To quote those old Mountain Dew commercials – it’ll tickle yer innards! There’s a powerful heat right there up front, and it’s not from poor alcohol but rather that high rye we talked about above. It finishes super smooth and clean with oak and vanilla. That heat dissipates and you’re left with a more palatable bourbon for those who don’t like that kick. However, that’s not to say that putting it on the rocks takes away from the character. It avoids becoming too sweet, but lets those peppery flavors compliment the finishing sweetness. Hands down, this is our new favorite bourbon. It’s balanced, spicy, and sweet but not overpowering in either direction. Neat, over the rocks, and in a cocktail, it holds its own and makes sure the consistent character sticks through. Bottom line, this is a must-have for the bourbon drinker in your life. Never tried it but would like to based on your review. How much for a bottle? Jimmy – It depends on where you are, but you’re looking at between $40 and $50 per bottle. It’s worth every penny though!